Good to know! i am a law student... i thought you were into the automotive industry considering what you did on hondas ! The engineers at Toyo says 235/25,4 is optimal in rim wide. Ok I wasn't doubting you, it sounds like the same thing advan used to do with there race tires they were 10mm wider than they said they were. If you have access to some good machines we might talk about something fun to do! I felt at last track day that I should have more stretch in my tires to get a better usage of my tires. I guess R Tires works better on wider rims (and of course lower pressure) compared with street tires. I got alot of stess on the outside of the tires in tight corners (to mutch flex). I drove a car this past year with the R888's and I noticed they got real greasy after alot of runs. Have you noticed this problem? Stuttgart read my previous message! The right rim width will provide a noticeable increase in performance. The problem is that setting up the coilovers for different rims\tires is very hard! Oh sorry man I didn't see that, I don't have too many machines available to use for personal use. I guess they don't trust us with the expensive stuff. Too bad, i have some housings and irons to play with but cnc machining is expensive here! Last edited by rx 8speciale; 09-07-2009 at 01:54 PM. 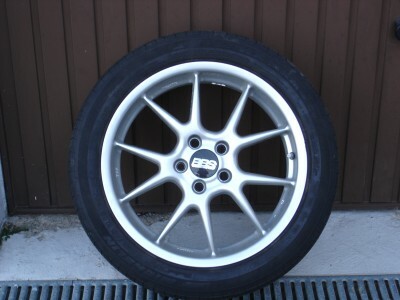 I was running stock rims with Michelin PS2 so its not really comparebly, I purchased new rims with R888 last winter. Yeah if I push my car really hard for many laps in a row then they can get the feeling of slippery/greasy. My solution is to lower the pressure or back off and do a cool down lap. My theory is to go more stretch and low pressure for not letting them overheat (get greasy) and stopp from flexing in some situations. R888s always do that. just wait and then get some advan a048 for comparison! Perhaps they get better with correct rim wide? im going to try more camber in front and a little toe out as well. Yes they'll perform better with the right rim width. You will notice the same problem though, only a bit later. Aren't a048 road legal for you? check camskill.co.uk again, r888 and a048 have got similar prices. I also found the federal rsr595 for 200€ a piece on another site. I Would stick with a 235\40 though, we're still running na cars! a048 is road legal, I will check out camskill. Before this year I was running the Azenis in 225/45-18 on my stock rims so I still had sticky tires with a stiff sidewall. This year I decided to run 245/40-18 Azenis on the OZ wheels. I noticed I had alot more grip with the 245's on the 8 rim and I noticed the contact patch was alot wider also from the old set of tires. I don't really understand the stretching i would think you would want a wider tire so you can have max grip without sacrificing tire pressure or sidewall flex. But if it works for you thats cool. Personally I don't run anything less than 30 psi, I notice no flex with the Azenis but I have noticed tire clupping this year that I'm not happy with since it gives you uneven tread wear. My theory on driving is I drive to the edge and if something on the car can't keep up I get something else to help. Interesting, I am at work know but I will write my teory about it later after work. Last edited by rx 8speciale; 09-09-2009 at 02:57 AM.